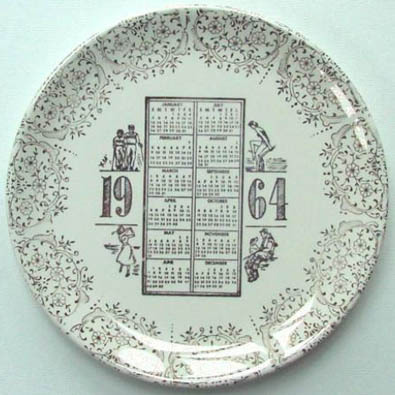 Calendar plates are all over the place. They lend themselves to the constant hunt for that specific year of meaning. I have been searching for my birth year for about 6 months with no luck. I have resorted to the year my parents got married, the year they were born, OR my birth year. Despite my lack of luck lately, I truly enjoy the constant search and scavenging – one day I will find those special years!